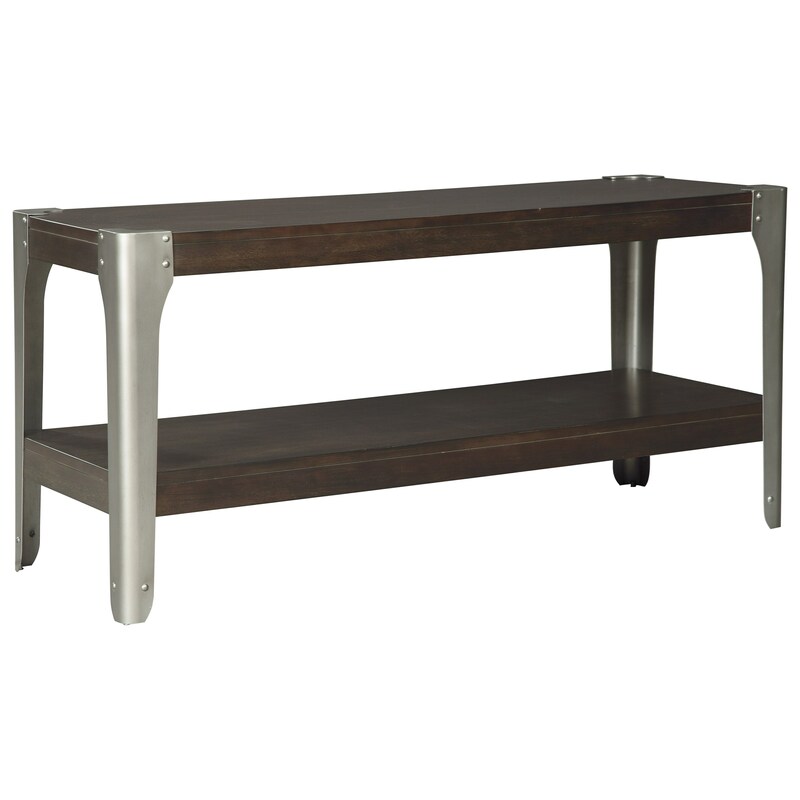 This industrially styled sofa console table rocks a mixed media design that is right at home with city living. Its bracket legs have been given a satin nickel-tone finish, complete with punctuated nailhead trim accents. Placed along a wall as a spot to display personal items, or as a sleek TV stand, this table brings industrial style to your home. The Geriville Industrial Sofa Console Table by Signature Design by Ashley at Prime Brothers Furniture in the Bay City, Saginaw, Midland, Michigan area. Product availability may vary. Contact us for the most current availability on this product. The Geriville collection is a great option if you are looking for Industrial furniture in the Bay City, Saginaw, Midland, Michigan area.